Not Quite Tucked, Not Quite Loose. Drake Is The Master Of The Half-Tuck. But what about the sequel? How can you better half-tucked? Three quarter-tucked of course! As we discovered in a recent 1up interview, Drake is to have his shirt positioned a little differently this time. 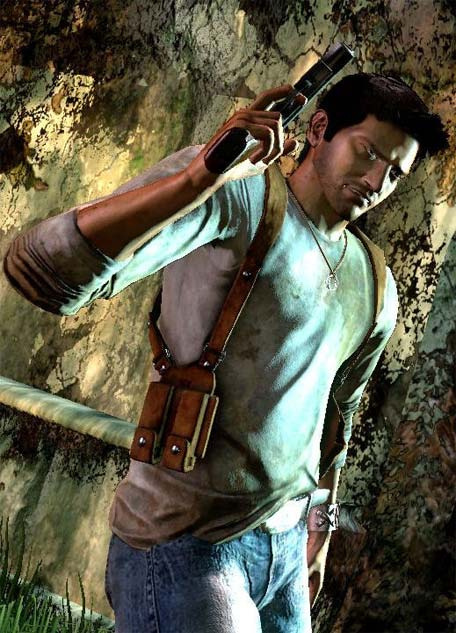 Speaking about the "half-tuck", Naughty Dog's Amy Hennig claimed, "I don't know how conscious of it we were; we definitely knew that even though he does a lot of climbing and jumping, and a shirt wouldn't be tucked-in at all, that we at least want some sort of semi-tuck this time. At least it's more tucked-in for the front than last time, since we have to attach his pouch. It's still half-out in the back." So there you have it. Confirmed. Drake is sporting a three quarter-tuck.